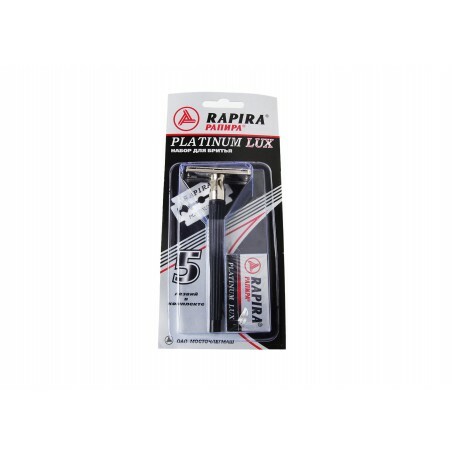 Rapira Double Edge Safety Razor. 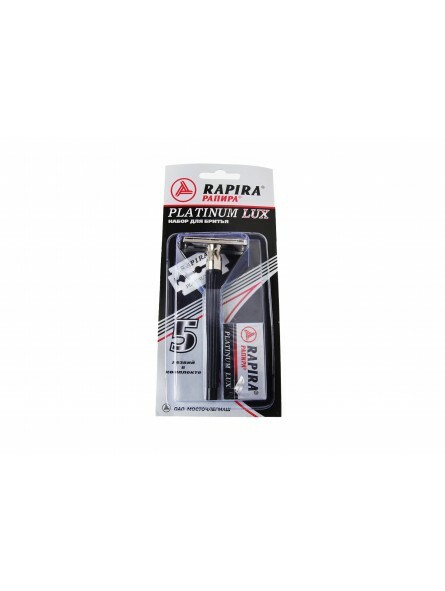 A 3 piece safety razor offered with a pack of 5 Rapira Platinum Double Edge Blades. The blades are offered in individual packs of 5 DE blades. DE blade is wrapped individually.